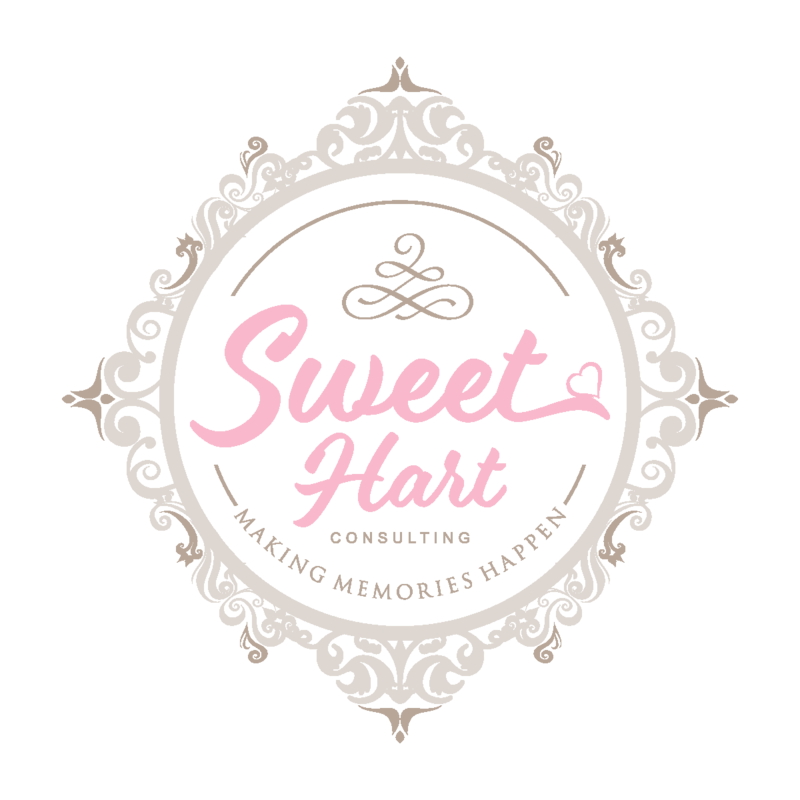 Welcome to Sweet Hart Consulting! We are glad you’re here, and we’re here to help! Whether you need a planner to handle the nitty gritty, a day of coordinator to keep things on schedule and as per contract, or a photographer to capture it all we would love to be part of your special day. We offer a wide array of services that start at the beginning; invitations, save the dates, birth announcements and take you all the way to the end for thank you’s. Check out our services page for our sizable list of services. If you need something that is not listed let us know, we do custom packages and projects all the time! Let us help you find your wedding style . . .
Theme Wedding: Theme weddings as you’ve probably guessed have a theme. Some popular themes include a beach front wedding, a western style wedding, or a retro 1940’s wedding. Classic: A Classic wedding has a style that is clean and timeless. Natural: Natural weddings are inspired by mother nature use aesthetics such as organic shapes, colors, and textures. Playful: Playful weddings have a very “lite” feel to them. The decorations could include such elements as polka dots and butterflies. Romantic: What wedding isn’t romantic? However, a romantic style wedding is one that is defined by certain Glamorous elements. Some of these elements include elegant feathers, silver metallic details, fans and shimmer ribbon. Your initial meeting is free, give us a call, text or send us an email to set up your FREE meeting today!